Home / Blog / Scheduling Problems? Consistently maintaining a productive (and efficient) schedule can be a challenge. If you’re having problems with your schedule (i.e., not productive enough, too many cancellations and no-shows, etc.) the first place to start would be your scheduling policy. Now, I know there are quite a few variables or “reasons” that combined contribute to a non-productive appointment book. Take an improperly scheduled morning, too little time for a few procedures and add a few cancellations and no-shows and you could have a real mess. 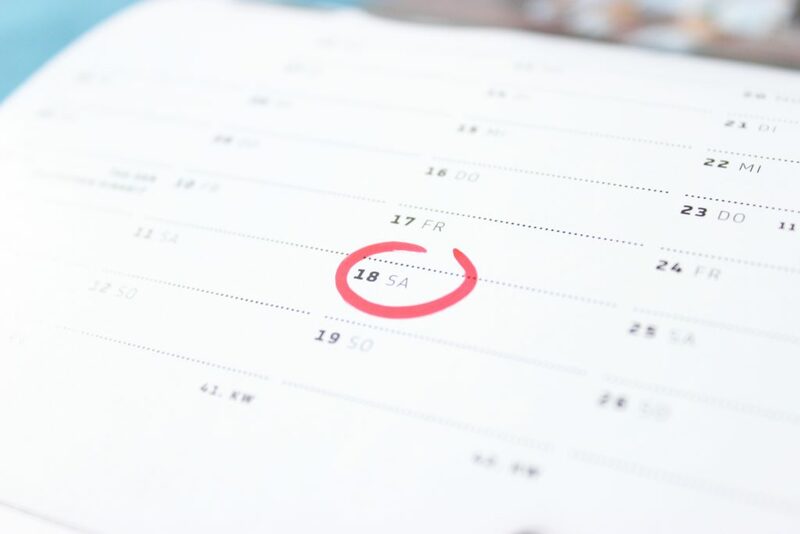 However, if you’re having trouble with the schedule – regardless of the “reasons,” I’d still start with a thorough review of the scheduling policy in your office. Why? Well, policy provides the “rules of the game,” so to speak. With no rules you have no game. Having a common set of rules for everyone (your staff) to play by fosters AGREEMENT among the staff. With this agreement in place they can all move in the same direction – they are all on the same page. For that matter, lack of policy can create innumerable DISAGREEMENTS amongst your staff. How? Well, let’s imagine for a minute that you have no financial policy in the office. There is no set way that patients are supposed to pay for their treatment plans. Now, let’s say you have two of your staff collecting money up front – “Jane” and “Bill.” In the absence of “rules” (policy) on how money is to be collected – Jane and Bill come up with some on their own. Bill allows patients to pay $50 a month on a $5,000 balance and Jane has patients pay half down.You get upset with Bill as $50 a month doesn’t cut it. You think Jane is “great” as she collects more. Jane and Bill “disagree” on how to collect money and argue about it. You end up with a mess. Well, expect nothing less than things like this if you don’t lay out clear rules. It’s another matter entirely if your office policy was “Half down on the start and half 30 days later.” If that was the case, then Jane is in compliance with policy and Bill is not. With NO policy – who knows what you’re going to get! So, if your only rule for the schedule is “fill it” and you don’t have a clear cut system of policies and actions relating to it (i.e., how long to schedule for different procedures, when you see different types of procedures and when you fit new patients in), then expect varying degrees of problems or outright anarchy! If you don’t have a scheduling system that allows you to work efficiently and productively, I’d recommend attending our free seminar, The Art of Scheduling Productively Seminar, when it comes to a location near you. 1. You are scheduling “by committee” as opposed to having one person responsible. If you have a couple of front desk staff and “everybody” schedules, you are making a mistake. One of the basic management concepts we teach on the MGE program has to do with a clear division of duties for each position. You give someone a job, it has a specific product that you expect from it and you can assign a statistic to this job to determine if the area is expanding or contracting. Obviously, if a person is working out well and learning more as they go, they will become more efficient and statistics will improve. Conversely, if you have a situation where “everyone” is responsible for the schedule – then in reality NO ONE IS. Have you ever had a room or closet in your home or office that didn’t belong to anyone? Since it was “no one’s responsibility,” it was most likely a mess. Make one person responsible and accountable for running the schedule. 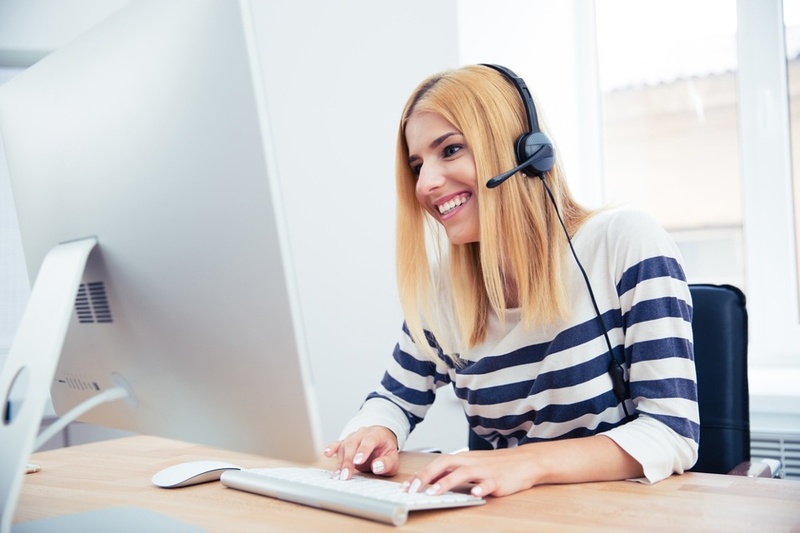 In the event a patient needs to schedule and this person is not available, another staff member can do it, but they would turn over the information about what was done to the person responsible at their first opportunity. 2. Your staff have little to no training on how to handle people. 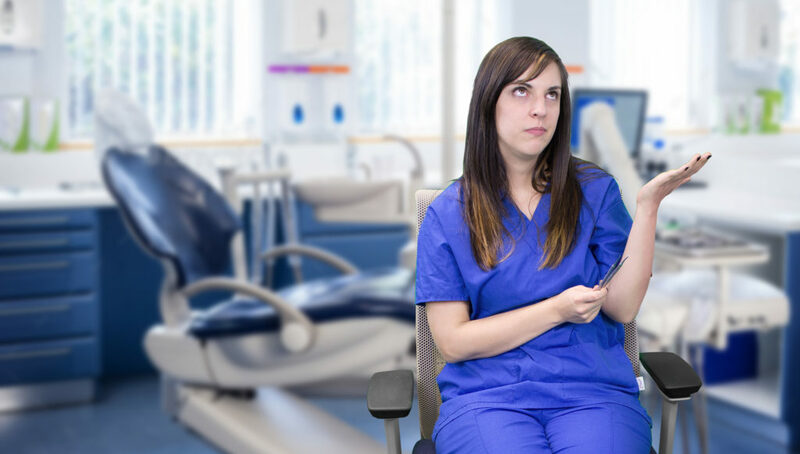 The person running your schedule may be very knowledgeable about dentistry and how the schedule is supposed to work, but if they have difficulty handling and directing people, you will be in trouble. Just as there is a technology to doing anything from prepping a crown to making tasty soup, there is a technology of how to handle and communicate with people effectively. If you don’t know it, you will run into problems. And not to burst any bubbles, but this is not resolved by teaching your staff special “words” to use when scheduling or giving them a script. Handling people effectively and cheerfully begins with understanding people and how to communicate with them. This comes from being trained. Without this information and skill, you will end up with patients controlling the schedule. Countless times I have had a client bring their scheduler to seminars here at MGE on how to communicate better and then watched as they went back and put control in on the schedule. So the lesson here is: You are in the business of handling people. Ensure your staff are trained in this area along with the basics of doing their job in your office. 3. You have an inordinate amount of cancellations and/or no-shows. I have heard all kinds of reasons why patients cancel or fail. Lack of confirmation, people don’t think dentistry is important, etc. Unfortunately, none of these answers lead to a solution to the problem. Generally speaking the reason for most cancellations or no-shows, especially for larger procedures is the patient is not “closed” on doing the treatment. They are not “sold.” They may appear to be when they leave the office and schedule. How do you know the difference? Well, see the answer under “b” above – learn the technology of handling people. We cover this subject thoroughly at our free seminar, The REAL Solution to Cancellations & No-Shows Seminar. So, there you have it. While I could get into more detail about any of these issues (as well as a few others I didn’t mention), I hope this helps to get you going in the right direction. If you want further information about MGE or would like to contact Ms. Blumberg, call (800) 640-1140 or e-mail her at sabri@mgeonline.com.